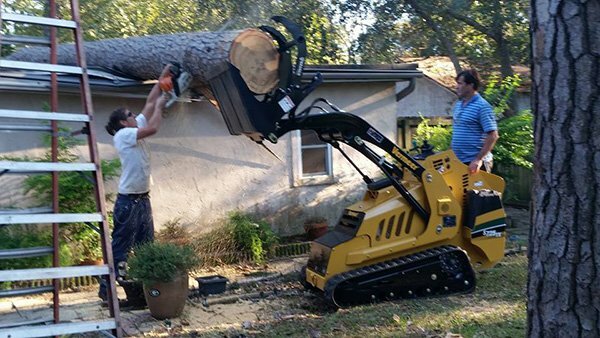 At Skywalker Tree Company in Charleston, we offer expert tree care. Our company provides professional and complete tree trimming and removal services by a certified arborist. We carry out hazardous tree removal, ornamental pruning, vista pruning, house clearance trimming (in the range of 8-10 feet of height) diseased or dying tree removal and hauling. If it’s necessary, we can also help with getting arborist letters for tree removal. If you’re looking for someone to trim your tree, or remove one in your yard, and you live within 15-20 miles of Charleston, SC, get in touch with us. We guarantee it’ll be a quick, clean and thorough job. All our services are available for both residential and commercial clients. Need a tree shaped? Have a dying tree removal issue? Want to make your trees look better? Then call Skywalker Tree Company in Charleston, SC today.